Mayo Clinic. “Mayo Clinic.” Mayo Clinic. Mayo Foundation for Medical Education and Research, 29 July 2011. Web. 18 July 2012..
Roberts, Holly. “Side Effects of Peppermint Oil Capsules.” LIVESTRONG.COM. N.p., 3 May 2010. Web. 18 July 2012. .
Selke, Lori. “Peppermint Oil & Migraine Headaches.” LIVESTRONG.COM. N.p., 1 June 2011. Web. 18 July 2012..
Sloan Kettering. “Integrative Medicine: Disclaimer.” Memorial Sloan-Kettering Cancer Center. N.p., n.d. Web. 18 July 2012..
University of Adelaide. 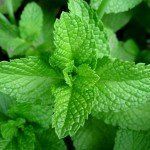 “How peppermint helps to relieve irritable bowel syndrome.” ScienceDaily, 19 Apr. 2011. Web. 9 Jul. 2012. “UMMC.” University of Maryland Medical Center. N.p., n.d. Web. 18 July 2012..